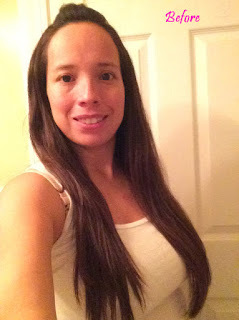 A couple of months ago I was going to cut my hair about 3-4 inches when it occurred to me that if I let it grow a bit longer I could donate it. After many months, I was finally able to make a donation to Children with Hair Loss. 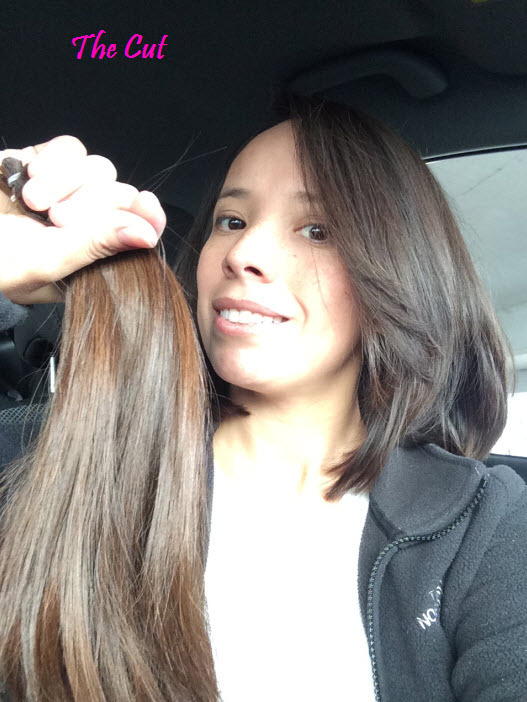 There are many organizations where you can donate your hair to, but many of them of them have their own guidelines. With CWHL their requirements were something that my hair met. My hair is dyed, and many organizations only want non-chemically treated hair. They also only require 8 inches, as where others require 10 inches. My initial thought was to donate 8 inches, but after reading about the children who get the hair, I decided to donate 12 inches in order to be able to provide for a longer wig for a child who wants long hair. 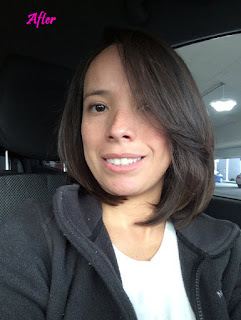 I stepped into the salon, and with out much hesitation the stylist just chopped off my hair, really no time to react. She made sure I was also standing up and not facing a mirror. This was actually a great approach as I thought I was going to cry, but I didn’t. It felt quite liberating to let go of my hair. It really was a weight on my shoulders, and I’m glad that a child will get to benefit of the hair. It will probably take another 4 years for my hair to be this long again, and who knows maybe I’ll donate it again.